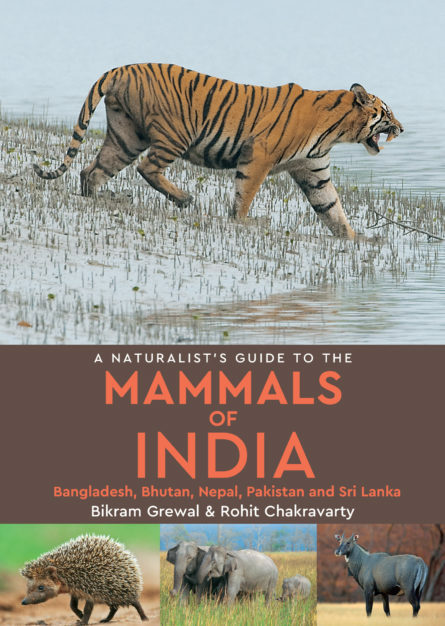 Photographic identification guide to the 280 mammal species most commonly seen in India. and scientific name, its status in the country as well as its global IUCN status as at 2015. Bikram Grewel grew up in the dense evergreen forests of India’s north-east where he first developed his love for nature. He gave up his full-time publishing career to devote his time to the conservation of Indian wildlife, especially working on rare birds. He also acts as a consultant on eco-tourism. He is a trustee of the Wildlife Preservation Society of India (WPSI). He was awarded the Lifetime Award for spreading awareness about birds and conservation in India.